The locals rejoiced when told that the dreaded Goods and Services Tax or most antagonistically known as GST was being lowered to a mind blowing 0%. Though, be warned that technically GST is not gone. It’s value had been reduced to 0%. Parliament would have to convene in order to completely abolish the tax but it will most probably be replaced with the preciously implemented Sales and Services Tax (SST) come 1st of September. This is why you should buy a property now. So why would it be best to lock down and sign that Sales and Purchase Agreement on your new property now? In order to answer that question we’d have to first understand how the Goods and Services Tax effected the real estate market since it’s implementation. Commercial properties such as shop houses and office spaces were subjected to the standard rate of 6% GST on top of pricing hikes due to construction materials being subjected to the same tax. Hence, buyers were paying double the taxes due to the space itself as well as the foundation of the building. Residential Properties also saw a price hike during the implementation of the tax despite being GST-exempted. The application of GST towards construction materials caused residential properties to also feel the wrath of the Goods and Services Tax. 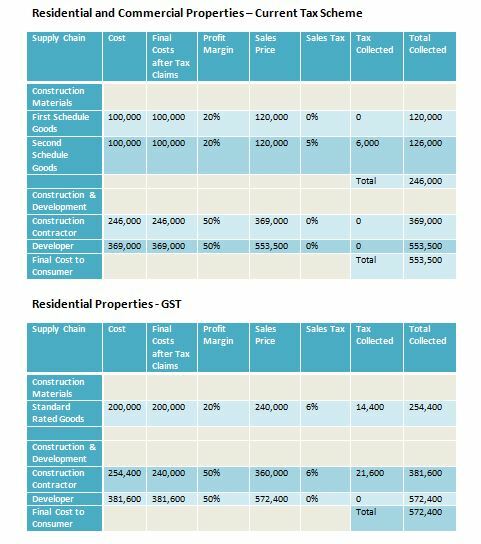 The tables below show a comparison between the cost of a new property before and after GST. With that being said, why should you buy a property now? Due to GST being zeroed out, developers; consultants and analysts have predicted a 2% to 6% price drop. This comes with the reduction of the Goods and Services Tax from commercial properties as well as construction materials. Many contractors often purchase a bulk of materials at one go. The market may take a while before fully reacting to the drop in construction material prices. Contractors would have to first utilize the materials they have in their inventory. Whereas, there are developers who are leveraging on the announcement and festivities. They are promoting significantly lowered prices to early bird buyers as a marketing strategy. Others are foreseen to follow suit in order to not be left behind during this time of economical change. 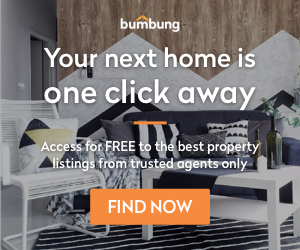 Interested home buyers should take advantage of this stable period before the market takes that unpredictable turn with possible implementation of SST, which of course, we will be looking out for, right here at The Roof Talks.